Who is Satoshi Nakamoto? This is a question that has remained unanswered even after a decade of Bitcoin‘s existence. But the drama around this question continuous thanks to Craig White who by hook or crook wants to world to believe that he is Satoshi Nakamoto. 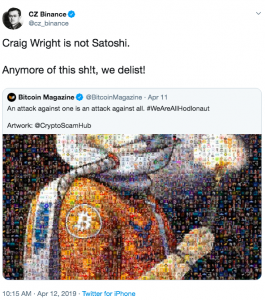 In the latest turn of events, Wright’s legal team has sent defamation notices to people who have called him a fraud and disagreed his claim that he is Satoshi Nakamoto. 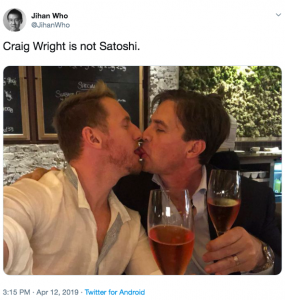 While the verbal battle was on, a lot of people who had claimed Wright was fraudulently claiming to be Satoshi, started receiving legal notices from Wright’s legal team, SCA Ontier LLP. The copy of the notice was shared by Peter McCormack. The letter claims that Craig Wright was the real Satoshi and has been instrumental for the creation of Bitcoin. The whitepaper that suggested the idea of bitcoin and the first Bitcoin transfer to Hal Finney was all done by Wright. The letter concludes that Peter will have delete all tweets that alleged Craig Wright fraudulently claiming to be Satoshi Nakamoto. The letter also states that Peter would tweet a public apology to Craig Wright for falsely defaming him. Who is Satoshi Nakamoto? This is a question that has remained unanswered even after a decade of Bitcoin‘s existence. But the drama around this question continuous thanks to Craig White who by hook or crook wants to world to believe that he is Satoshi Nakamota. 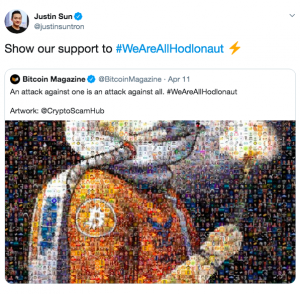 In the latest turn of events Wright’s legal team has sent defamation notices to people who have called him a fraud and disagreed his claim that he is Satoshi Nakamoto.